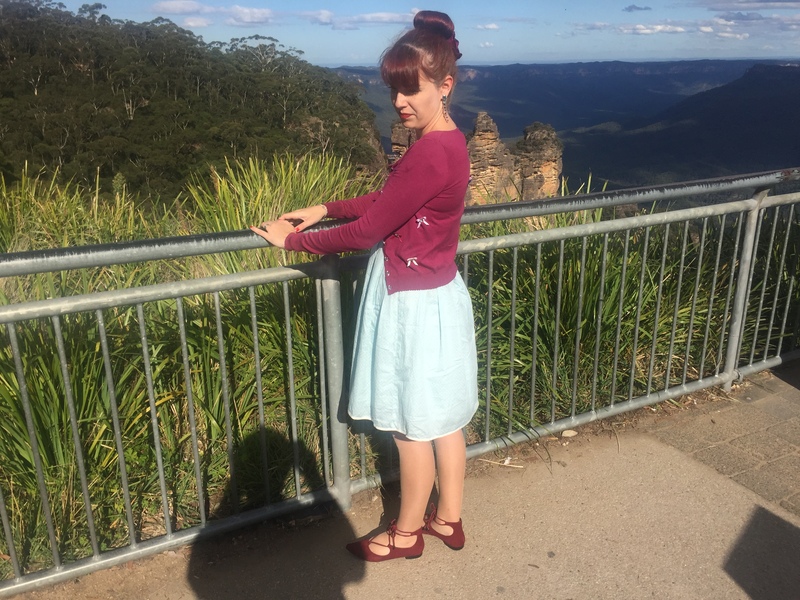 Late last week, the husband and I went to the Blue Mountains for a couple of days. 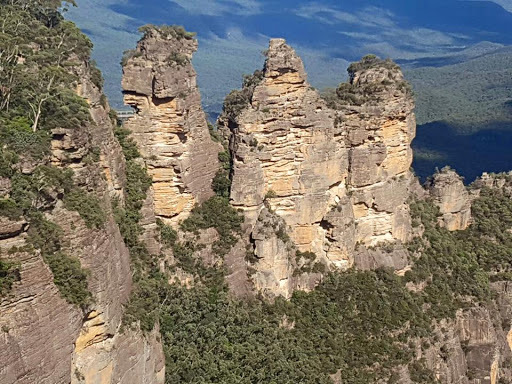 The Blue Mountains is located a couple of hours west of Sydney and is known for rocky terrain, waterfalls, small villages, steep cliffs and dramatic scenery. It’s a reasonable distance from home for a short trip and we thought it would be good to use our annual leave for a getaway. At the same time I wanted most of the time at home because I’ve been so busy lately. Also, I’m very strange and don’t like travel in general and get bored easily if I’m not at home. Therefore, I think this length trip was perfect for us. I can’t it’s been eight years since we went to the Blue Mountains; it was actually the first trip Rydog and I went on shortly after we got together. Since we’d only had the Fiat for a week, it was a great opportunity to take Daisy for a long drive. I love our new car so much. On the first day we visited Echo Point which is one of the main tourist destinations. It is a lookout which provides incredible views of the the mountains, valleys and the iconic three sisters. It is an amazing location for photos but unfortunately it is always extremely busy with tourists- sometimes there’s a wait for everyone to move to get a good picture. 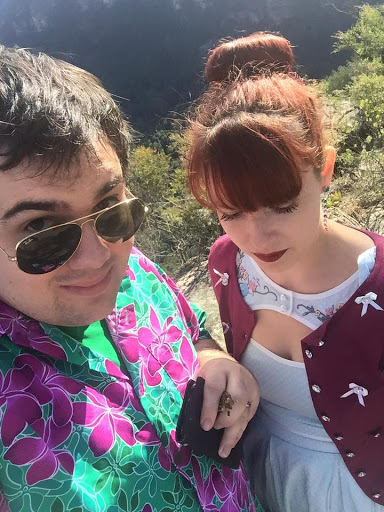 It was also very sunny so that’s why I’m not looking at the camera in many of the pictures. As I’ve mentioned a few times, the colour I’m wearing here is my favourite at the moment, especially with the pink undertone. 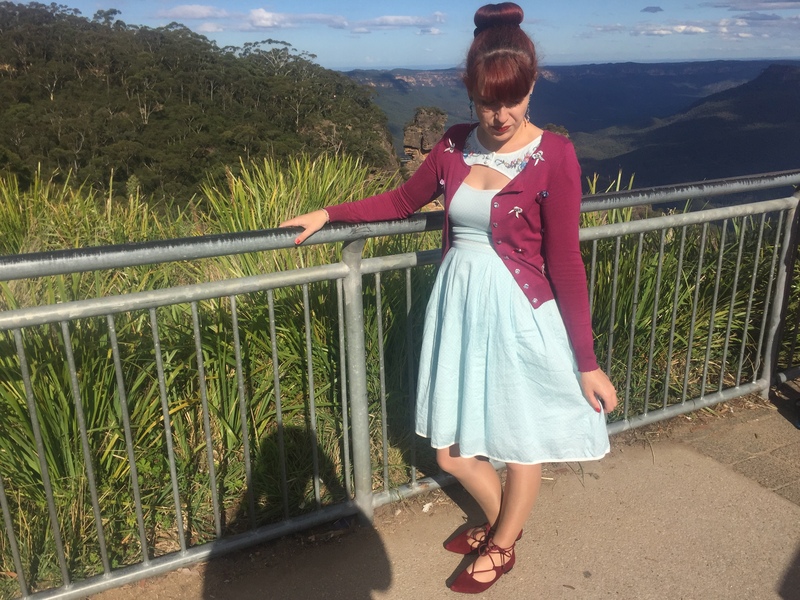 The cardigan is so pretty and also very comfortable to wear. I love the bow detailing, especially how it extends to the back. I also finally purchased lace up flats; I’d been searching for a pair for ages but took awhile to find the right ones. They are so fun to wear and the design is nice and different from the rest of the shoes in my wardrobe. I’m sure I’ll get lots of wear from them in the coming months. The pale blue dress is from Kitten D’Amour. It has a subtle polka dot design but my favourite pattern is the embroidery near the collar. It’s also part of the One, Two, Buckle My Shoe collection, despite being a different pattern, here I showed here. 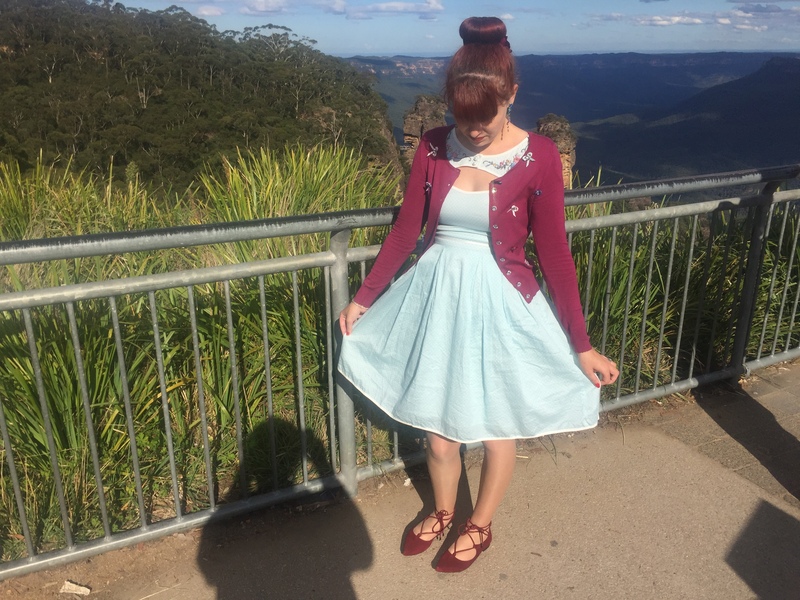 This entry was posted in Alannah Hill, Kitten D'Amour, Lifestyle, Outfits, Wittner. Bookmark the permalink. Such a beautiful place. I love your husband's shirt. Beautiful scenery! I hate driving places though, I'd rather get the train if I can! Forgive me but when I clicked on your blog, I wasn't looking for a cute outfit or travel report but to hear about your new Fiat. I love those cars. Daisy is a great name. Stunning scenery! Also love your outfit…gotto love a peekaboo dress! Wow beautiful! 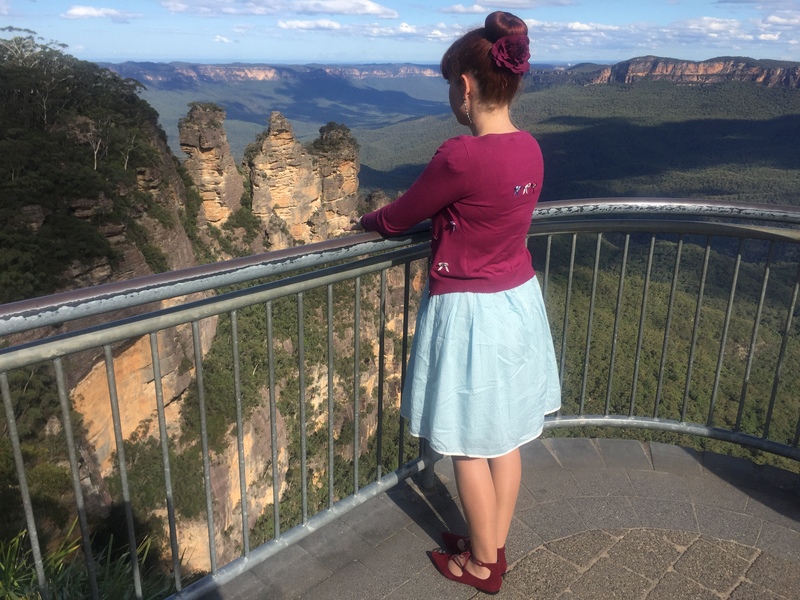 The Blue Mountains were on my Oz bucket list too! Such a shame I never made it over to NSW (your country is soo huge…). Anyway, my boyfriend from perth is now my ex, so unfortunately i won't be living in Oz any time soon. However I'm planning to visit friends in Sydney next year, hooray! 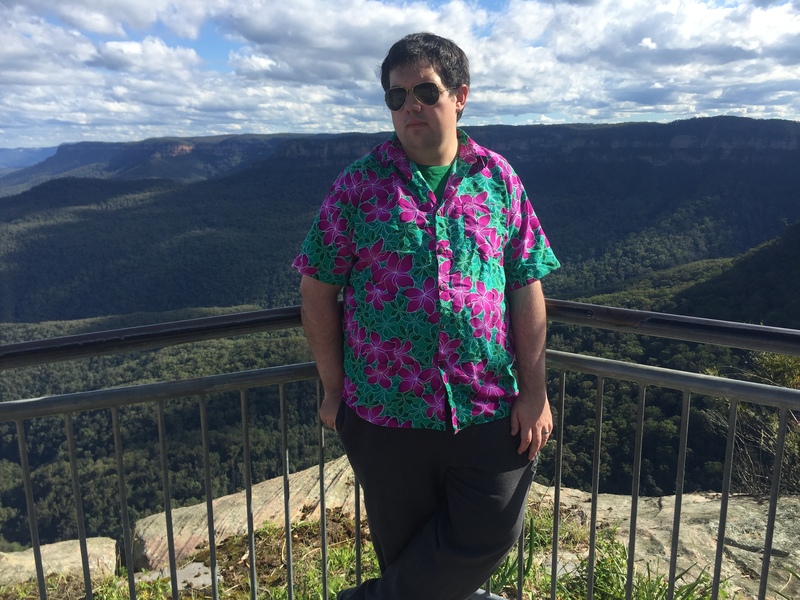 Maybe we'll be able to go on a roadtrip to the Blue Mountains too then. Wow those are so breath taking views! I love those how those two colors look together! I wouldn't have thought to pair them, but it works so well. What a great trip and beautiful view! 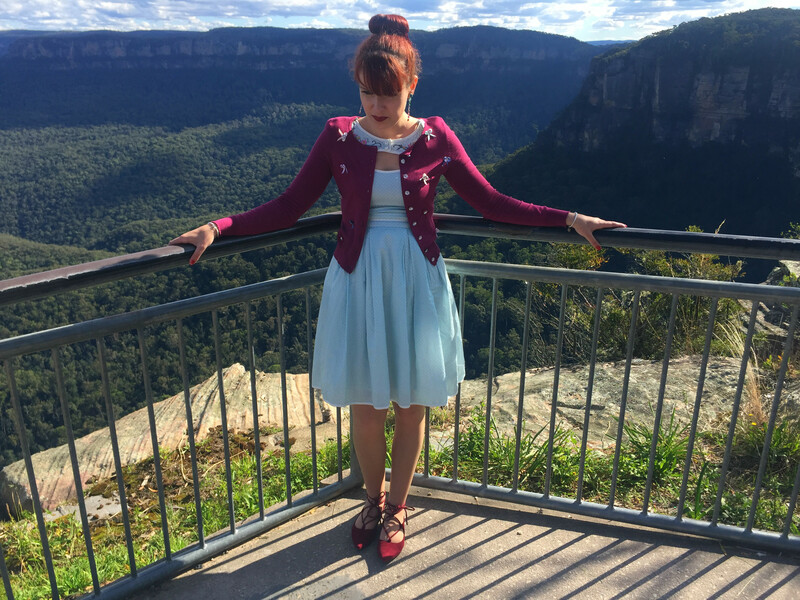 I'd love to visit the blue mountains one day, have been to Sydney a few times but never far from the city. 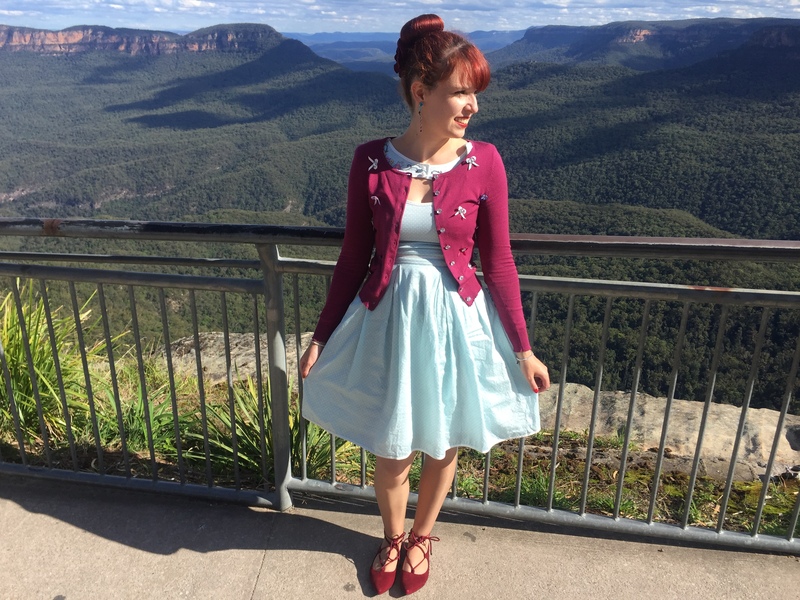 I like the colours in your outfit too but my favourite part is the embellishment on your cardi and dress, lovely! Love the powdery blue cutaway dress! 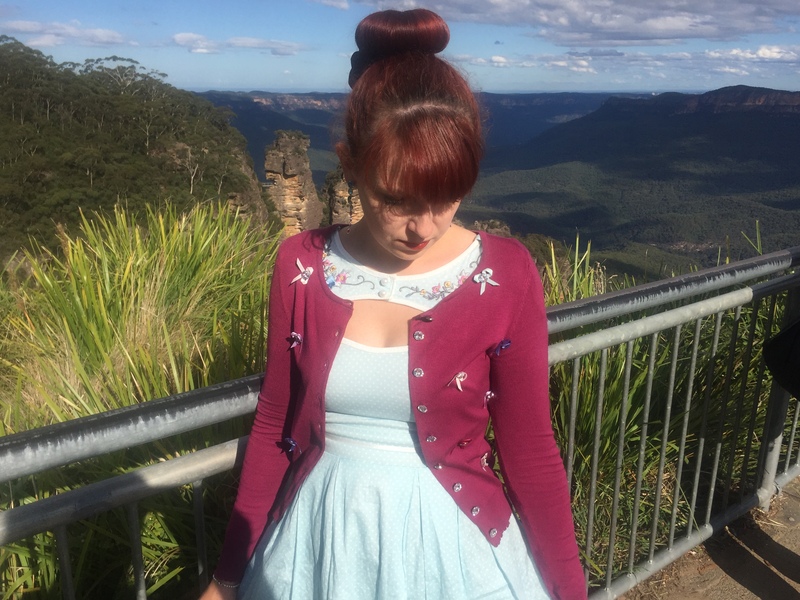 Oh, and I adore the ribbon trimmed cardi! That scenery is so spectacular, thanks for sharing all of this! This outfit is great! I love the colors and it seems like such a beautiful place to be!